The DxO one is one of the best cameras that are designed for the iPhone with better user interface. Iphone users utilize their mobile cameras to snap the pictures and usually upload on Facebook and Instagram. If you are one of them and want to go beyond the sharing of pics with your camera quality, then DxO one is the best choice to go with it. This camera utilizes the mobile for control and for sharing and framing. It transforms your iPhone into an advanced camera. 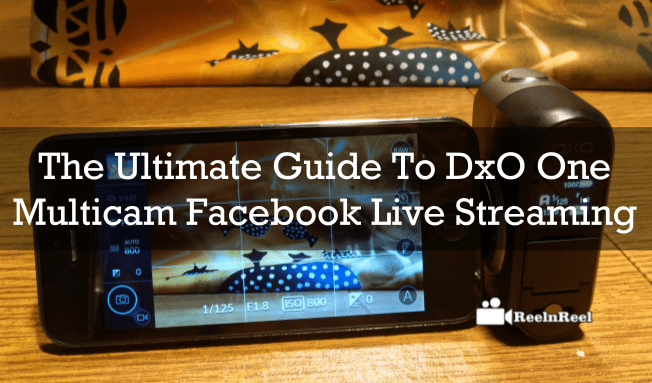 Ultimate Guide To DxO One Multicam Facebook Live Streaming is explained here. Without the need of any physical hardware updates, DxO is supporting the live streaming capabilities very soon and it starts from the Facebook platform. The new updates to the application allow the users to experience the live broadcasts. The new version 2.35 updated the display with the new camera feeds in which the DxO one was already capable of going with Wi-Fi. The user can also keep the camera in the remote location and can monitor the same from the iPhone. Along with the camera angles, the users also allowed making a selection of DxO one or an in built audio source or they can also switch on to the audio actively. It is better to go with an audio lock to the iPhone much as it helps while going with commentary during live streaming video from DxO connected with Wi-Fi. The new update helps the users to improve the video quality for Facebook live streaming broadcasts and also capable of delivering the quality during the low lights also. It is expected to be on store early 2017. Therefore, the new updates of DxO one are the good news to the iPhone mobile users to get started with new broadcasting experience with high-quality output on the Facebook platform from 2017. Facebook providing Live streaming and Live videos using different types of Facebook Video Cams. DXO one is the best Multicam for Facebook Video Live streaming.